All of the services provided by Get Locksmith are done so for a flat rate. We don’t begin the job until you have signed the work order. There will never be ever hidden fees or sudden increases; you will only pay the amount you agreed to. We believe in honest, straightforward service, and we will never overcharge you for a project. At Get Locksmith, we know that emergencies can happen any time, not just between 9 am and 5 pm. All of our centers are open until very late at night, if not 24 hours. When you call Get Locksmith, we can have a technician to your location in as little as 20 minutes! Get Locksmith’s dispatchers and drivers work with state-of-the-art software that allows them to navigate to you quickly and safely. Plus, we only hire staff who are local to the area where we work, so the drivers are already familiar with the area where they will be working. This means everyone involved is aware of any travel situations or roads to avoid. This allows us to determine the quickest way to you, no matter what! Get Locksmith’s technicians always keep their vans fully stocked. It is part of our mission to be prepared for any situation that may arise. A locksmith who comes to all jobs with all supplies is someone who understands that every situation is unique and they need to be ready to adapt on short notice. A local crew can translate into more than just quick service. 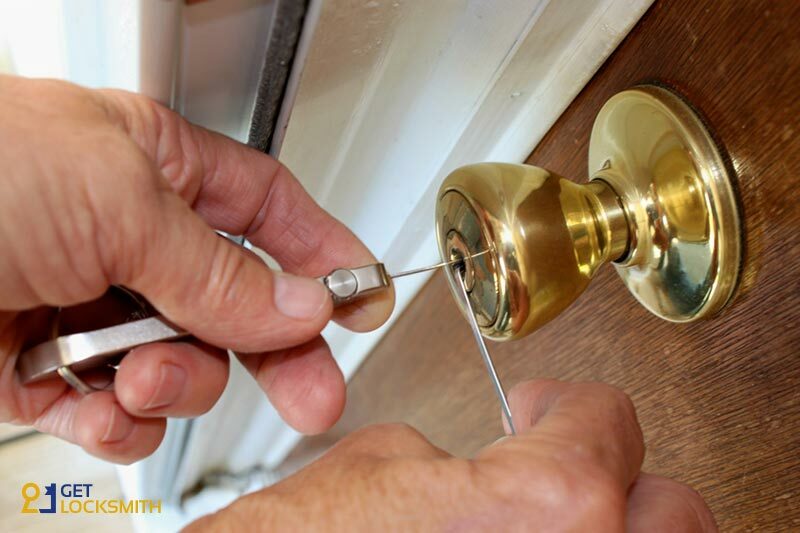 Get Locksmith’s technicians come with an understanding of outside factors impacting your area. They are familiar with the weather, crime spikes, and any other elements that might impact the type of lock you choose. Get Locksmith works with you to make sure you get a product that meets all your needs. Plus, with an interest in where they work, our technicians are always looking for a way to give back to their community. Get Locksmith is coming to many major cities across the US! Check back here for more information and developments!